The yearly flu shot could prevent most flu-related deaths among children and teenagers, a new U.S. government study estimates. Researchers found that about three-quarters of U.S. kids who died of flu complications between 2010 and 2014 were unvaccinated before they fell ill. If all children got their yearly flu shot, 65 percent of those deaths could be prevented, the researchers estimated. Experts said the findings, published online April 3 in Pediatrics, bolster what health officials already recommend: Adults and children age 6 months and up should be vaccinated ahead of every flu season. “This shows you, once again, that kids should get their flu shot,” said Dr. Paul Offit, chief of infectious diseases at Children’s Hospital of Philadelphia. It also highlights a fact that many parents may not know: “Healthy children can, and do, die of the flu,” said Offit, who was not involved in the research. Fortunately, that is rare. But when it happens, “it’s a tragedy,” said Brendan Flannery, a researcher at the U.S. Centers for Disease Control and Prevention who led the study. Kids who are perfectly healthy can become severely ill with the flu and develop complications such as pneumonia. But the risk is higher among children with certain medical conditions, including asthma, heart disease, diabetes, cystic fibrosis and sickle cell anemia. Flannery’s team found that a flu shot can cut the risk of death among both healthy kids and those with “high-risk” medical conditions. The findings are based on 358 children and teenagers who died of a flu infection that was confirmed by laboratory testing, over four flu seasons. Only one-quarter had been vaccinated — though the rate was higher among kids with underlying medical conditions. Of 153 children with high-risk conditions, 31 percent had gotten a flu shot. The researchers then compared those kids with three large groups of U.S. children whose flu vaccination rates had been tracked. Overall, 48 percent of these children had been vaccinated for flu, the study found. On average, the CDC team estimated, 65 percent of flu-related deaths could be prevented if all U.S. kids got their yearly flu shot. Among children with high-risk medical conditions, the vaccine could cut the risk of death in half. 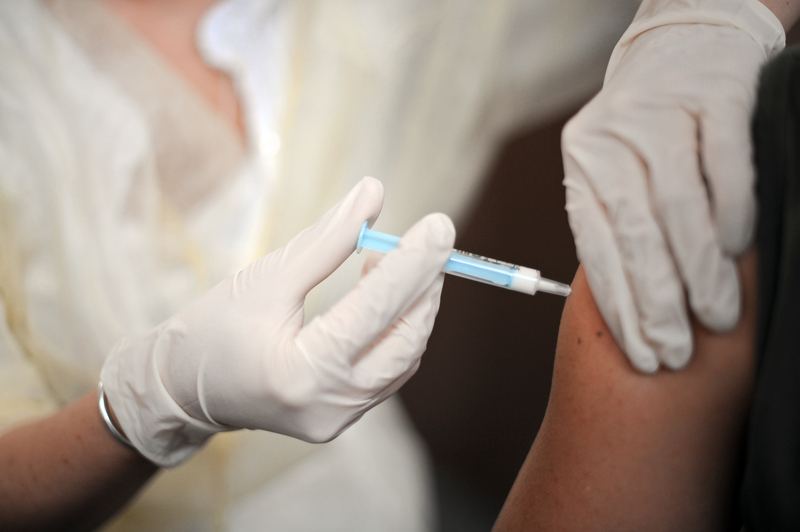 The flu vaccine isn’t perfect, both Flannery and Offit said. Each year, the vaccine has to be reformulated, based on experts’ predictions on which flu strains will predominate in the upcoming season. Getting a shot doesn’t guarantee that you won’t catch the flu. Despite that, many U.S. children — even those with high-risk medical conditions — go unvaccinated. Flannery agreed that some people believe the flu shot does not work. To some extent, he said, that’s due to uncertainty about what the flu is: Some people confuse it with the common cold, or even a stomach infection. If they fall ill with those infections after getting a flu shot, they think the vaccine didn’t work. In addition, some parents worry about the vaccine’s safety, particularly if their child has a chronic health condition. The reality, fortunately, is that any one child has a very low risk of dying from the flu, Offit said. Flannery made the same point. But, he added, the flu vaccine can also prevent hospitalizations, time off from work for parents, and a whole lot of misery for kids. In the United States, the flu season typically runs from October through April.